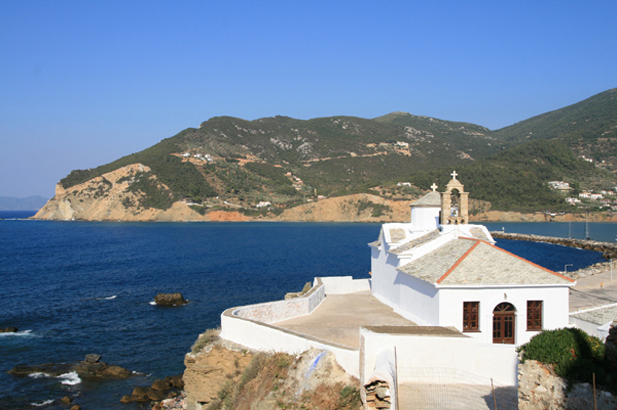 Skopelos, a large and mountainous island whose wild north shores are washed by the Aegean, whose placid southern bays offer shelter to yachts and swimmers, has more than a few parallels with the real Emerald Isle – Ireland. 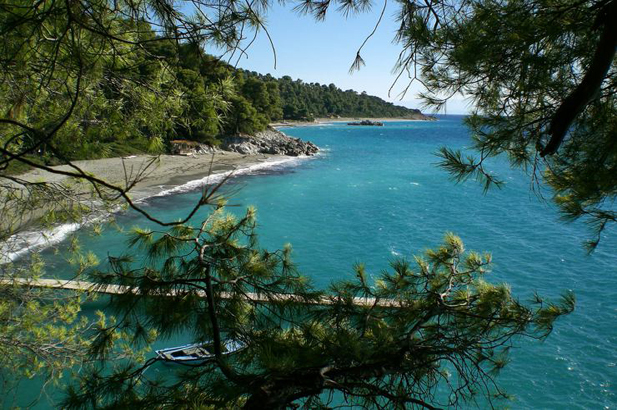 First of all it is green – virulently, vividly, viper-green – the colour set off by the sublime blue waters of the white cliff-girt beaches and pine-shadowed bays . Second of all, it is home – or rather second home – to an eclectic collection of artists, photographers, architects, poets, designers, and film makers who casually mingle with the oblivious natives and build rather beautiful and secret homes. 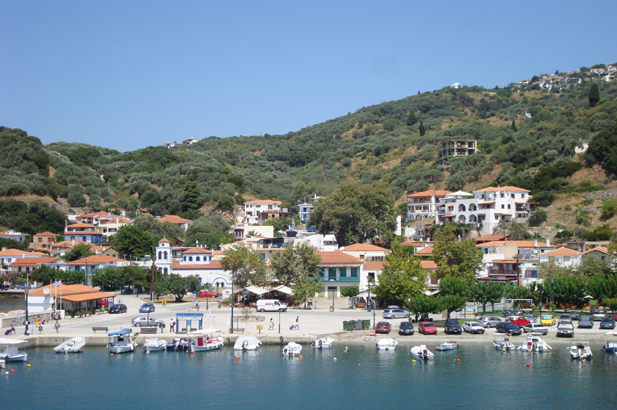 Third of all, it quietly goes about its own business below the radar of the rest of Greece, overshadowed touristically by its famous smaller sister Skiathos, forgotten by the administrative headquarters over on mainland Volos, and flourishing under this benign neglect; accessible yet overlooked. 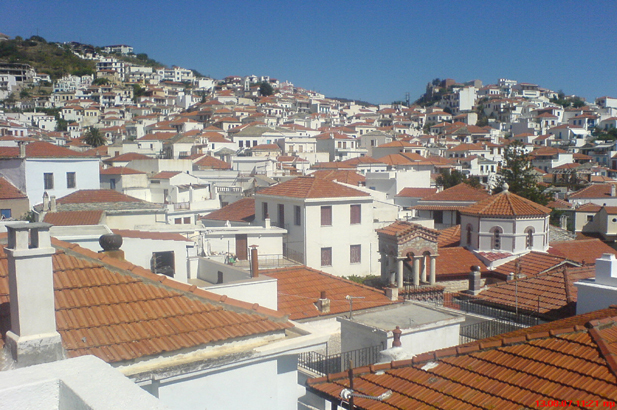 This benign neglect is a feature of Skopelos’ long history, in ancient times it produced some strong wine, the Ottomans could never be bothered with it other than once asking Barbarossa the pirate to sack it, which he did, razing it to the ground and carrying off all the inhabitants, the Venetians accepted some tribute from the locals and left them to get on with it. Plus ca change…. 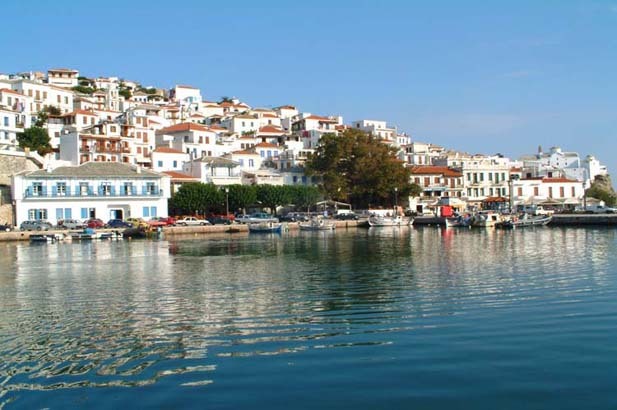 The north and south villages of sleepy Glossa and picturesque Skopelos were only joined up by a road in the 1960’s – before that it was a 9 hour donkey ride along the spine of the mountains, which is why there is still little joined up writing between the two towns – All this is the key to Skopelos’ almost perfect preservation; the whole island is a total delight of unspoiled nature and friendly and welcoming locals. 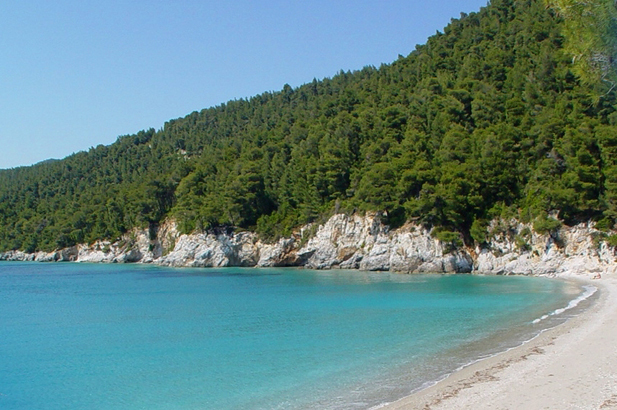 Easy access from Skiathos with its international airport – 40 minutes over by a variety of hydrofoils and ferries. 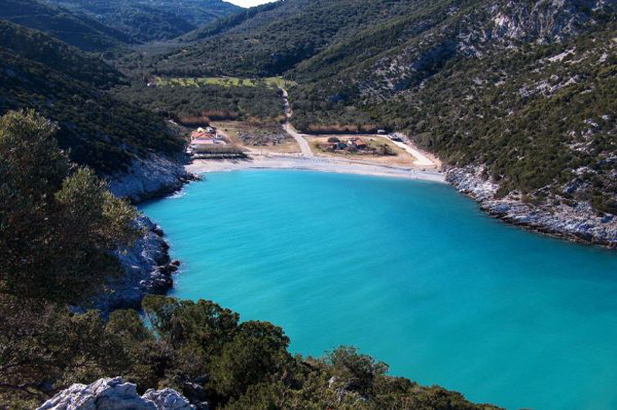 Superb beaches, accessible by 4 x 4, by foot or by yacht in calm seas. 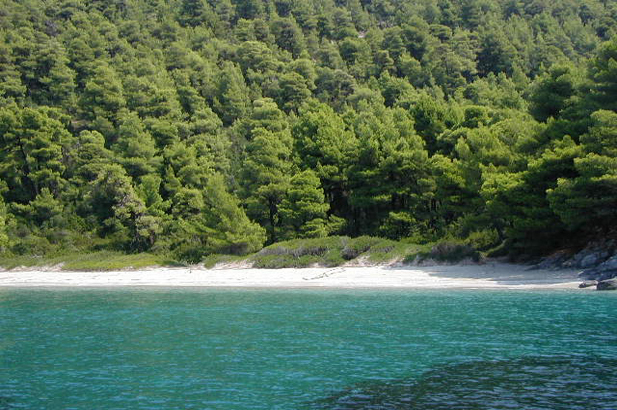 Virgin forests of chestnut, pine and holm oak. Large enough to get away from other people, even in August. 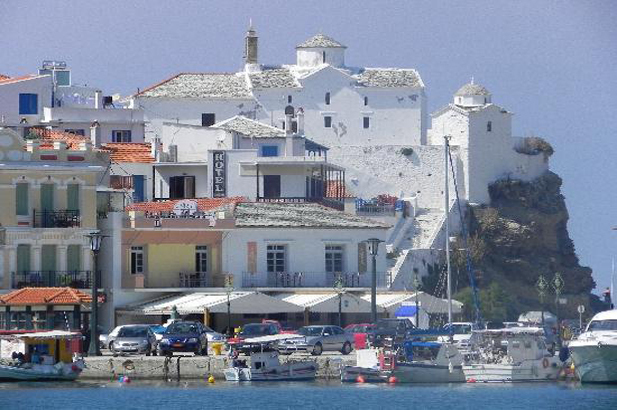 Culture – only a small folklore museum and a local nautical museum, no ruins, only two villages to speak of. 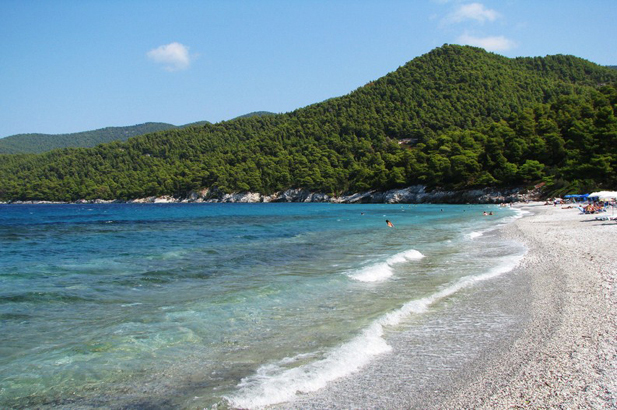 Only 1 sandy beach – the rest are clean white pebble and shingle. The Irish, and artists naturally, then, nature lovers who want to see the rare monk seal, honey eagles, and other curiosities, quiet souls, sunrise and sunset lovers, family vacationers, chilling on a beach, people looking for a laid-back authentic Greek island to fall in love with – even the Mamma Mia circus didn’t affect anything much. 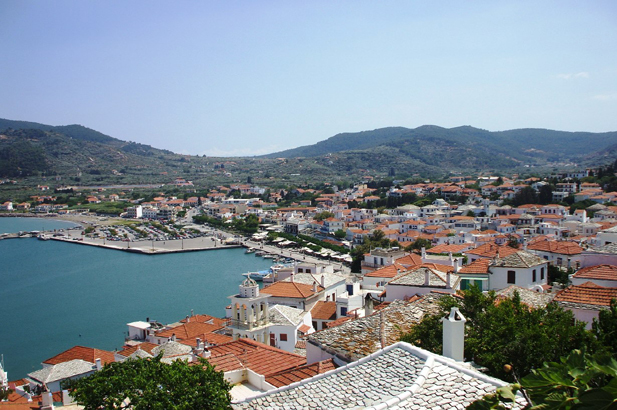 Not the best choice for people-spotting, partying, great organised beaches, or for international style glitz and cosmopolitan glamour as there are no fancy hotels and few upmarket villas. 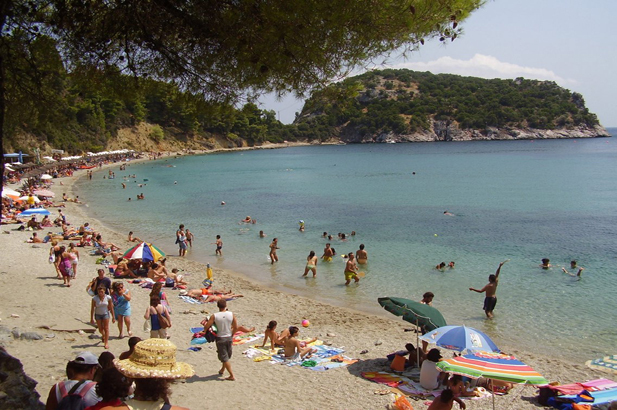 Some A list celebrities anchor off the beaches and occasionally descend on the beach tavernas, but don’t come ashore to party. 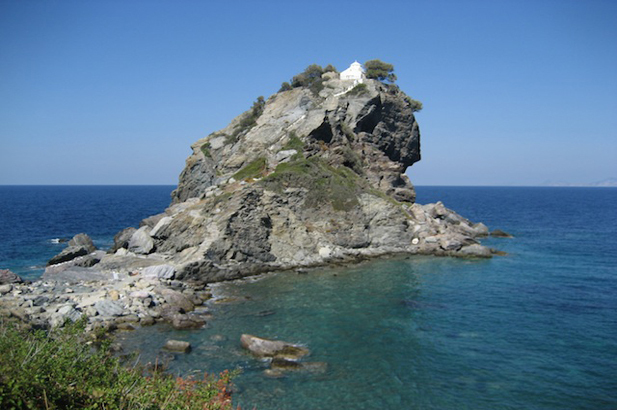 Anna’s taverna in Skopelos town. 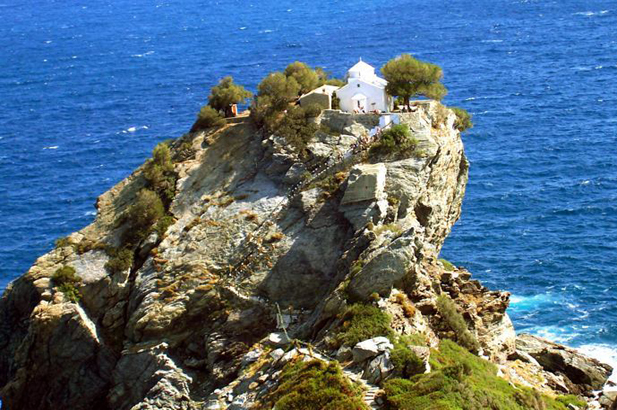 The Mamma Mia chapel of Aghios Ioannis. 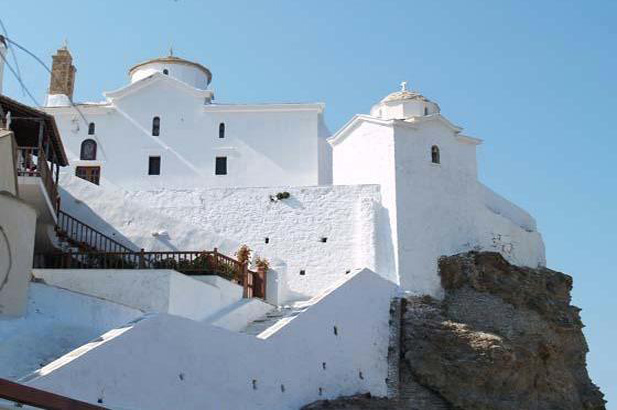 The Monasteries of Mount Paloukis. 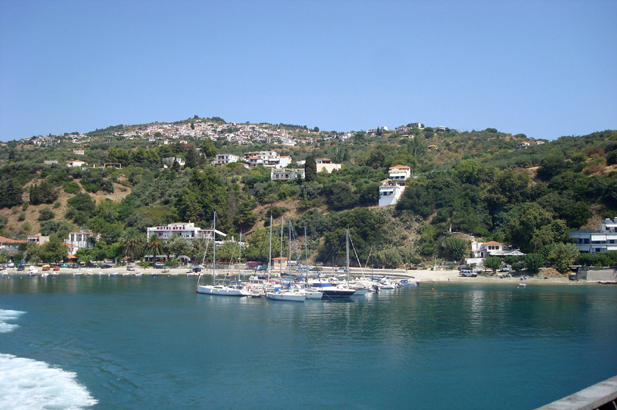 The pretty port of Loutraki below Glossa. 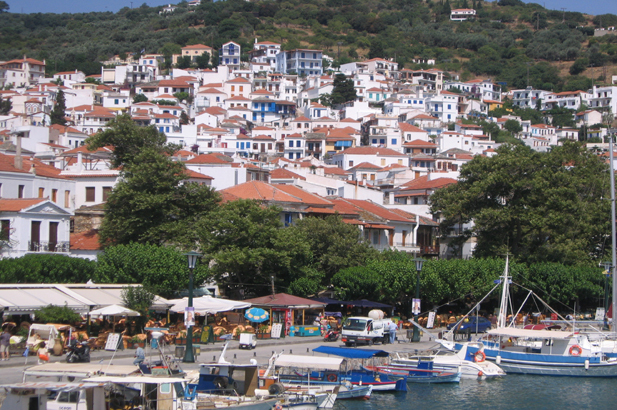 Walking the lanes of Skopelos town. 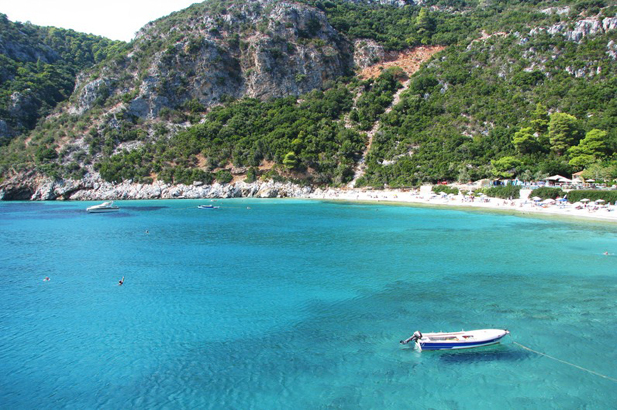 Hire a boat at Panormos to explore the bays and beaches like Hovolo, Ftelia and Neraki. 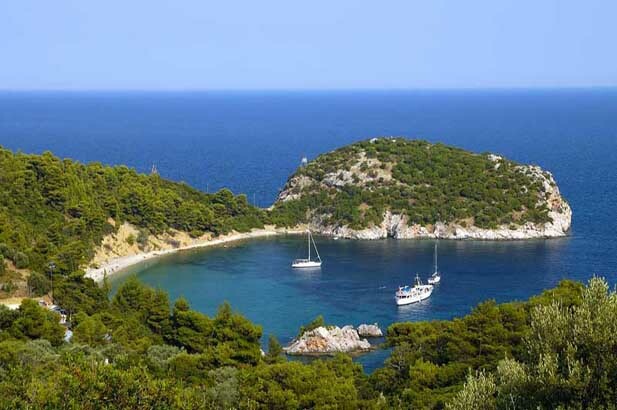 Scuba diving in the marine park of the North East coast, with an astonishing number of ancient and medieval ship-wrecks, sea caves, and trips over to Alonnisos as well. Mountain bike the beautiful mountainous interior. Sea Kayaking and paddle boarding. Sailing boats can be hired for day trips.